Christmas traditions are created by families and passed along from generation to generation. These time-honored rituals thrill us when we are children and later, as adults, they call forth memories that comfort us in an uncertain world. Experience an old-fashioned holiday with your loved ones at Henry B. 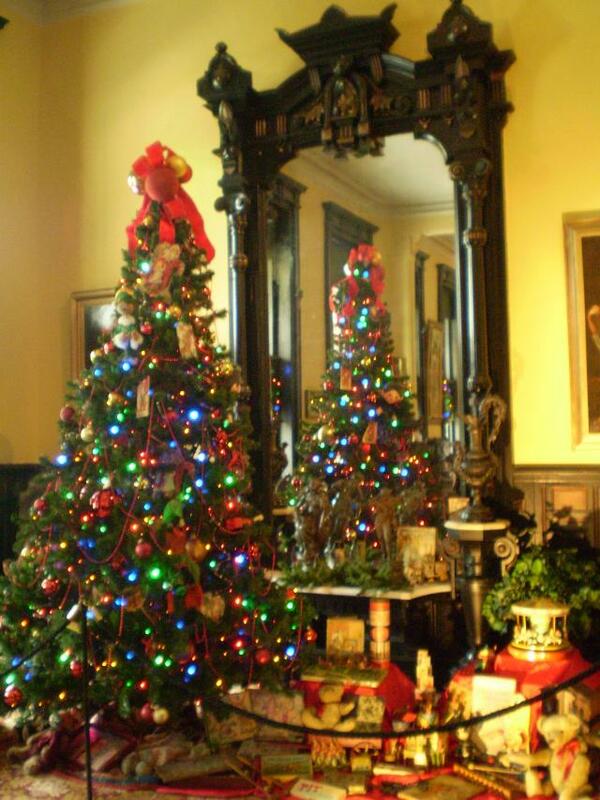 Plant Museum’s 29th annual Victorian Christmas Stroll from December 1st to 23rd, 2010, 10:00 am to 8:00 pm daily. Beneath towering silver minarets, an extravagantly adorned former Tampa Bay Hotel captures the spirit of the season – Victorian style. There are 14 exhibit rooms; each dazzling with trimmed trees uniquely designed in 19th century themes and antique holiday accessories. While strolling down the Grand Hallway, your spirits will soar as you become immersed in carolers singing, Charles Dickens, much loved toys and wrapped gifts, Christmas stockings and Old Saint Nick. Unique to this year is a game for children and the young at heart. Where’s Henry? Somewhere amid the myriad of decorations is an image of Henry Plant. Children will be entertained searching for Henry, the founder of the Hotel, strategically placed in each exhibit room. They will be given a checklist and if they can locate his image in every room, they will receive a prize. Santa Claus is coming to the Victorian Christmas Stroll on Wednesday, December 23rd from 10am-1pm. Complimentary with your Stroll admission; Santa will sit in the authentic Writing and Reading Room of the Tampa Bay Hotel and listen to children&apos;s requests. You may bring a camera to commemorate this unique occasion, but remember no "flash photography" in the Museum. The Victorian Christmas Stroll preserves the essence of an old-fashioned Christmas and is treasured as Tampa’s most popular family tradition. Complimentary spiced cider and savory cookies will be served on the veranda every day, and each evening carolers will perform music for your merriment. Visitors are invited to sing with the carolers in front of the 18-foot tree in the hallway. Admission is $12 for adults, $10 seniors and $6 youths (4-18years). Discount Days are December 6, 7,13, and 14 when admissions are reduced to $8 adults, $7 seniors, and $4 youths. Group tours are welcome: please make reservations for parties of 20 or more with Sally Shifke, Museum Relations Coordinator, (813) 258-7302. Saturday with Santa! : Santa will be available on the Museum veranda from 2-5 pm on Saturday, December 4th to hear children’s wishes. This event is free and open to the public. You may bring your own camera to capture this special moment. The Museum Store has a huge selection of merchandise, from gorgeous ornaments to silver serving pieces and exquisite holiday accessories. The Museum Store also offers books, fragrances, jewelry, children’s toys, stationery, and home accessories. Enjoy shopping in a unique Victorian atmosphere: the Museum Store is open from 10:00 am to 8:00 pm daily and no admission is required. Proceeds from the Victorian Christmas Stroll fund significant museum restoration and preservation projects, as well as educational programming. And there you have it. Trust me everyone, this place is amazing!!!! See you back here for more great things to do in Tampa Bay and other Tampa Bay area events.